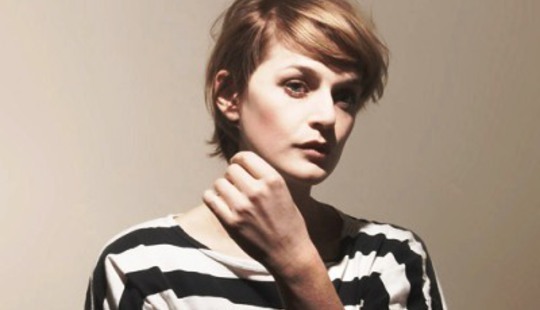 Sweden’s Sarah Assbring, under the moniker of El Perro Del Mar (Spanish for ‘The Sea Dog’), creates deceptively simple music for those quiet moments in life. Influenced in part by the classic Spector-produced girl groups while dabbling in a particular strain of downtrodden indie soul, Sarah first caught people’s attention with her Look! 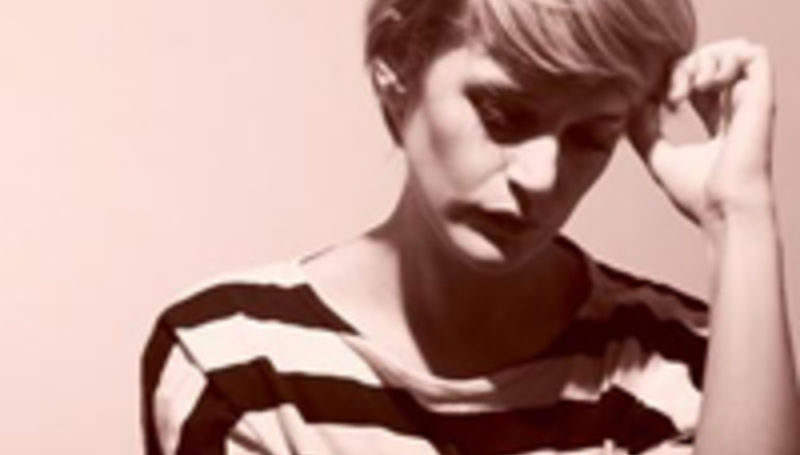 It’s El Perro Del Mar LP – a collection of earlier EPs – in 2005. With her official follow up From the Valley to the Stars out now (review) and a UK tour with fellow Swede Lykke Li under her belt, we decided the time was right to fire off a few questions to the chanteuse. Here’s what we got back. Hi Sarah, where are you right now? I’m on a train heading for Copenhagen. I’m on a tour round Scandinavia at the moment. The original plan was to do it together with Lykke Li but unfortunately she had to cancel the rest of the tour dates in Denmark and Sweden due to a throat infection. So now I’m on the road on my own. Are you a fan of touring? When it’s all under well-arranged circumstances I’m definitely enjoying touring, but it can be quite strenuous. Sometimes it’s great and sometimes it’s a complete drag, I guess, and you’ll never know if it’s going to be either way. It’s all down to fate. Regarding the new record, do you feel like you’ve created the ambitious work you claim to have intended to make? I do. It was indeed an ambitious piece of work and at times working with it was totally overwhelming, but it was something I knew I had to do at this time in life. I didn’t really have a choice. I guess I have to feel that way when going into a project as ambitious as this. Especially when being involved in it by myself, from beginning to end. Is a title like From the Valley to the Stars indicative of an urge to elevate yourself from the depths and embrace something grander? The image of the protective angel on the cover certainly seems to imply a desire for something. To me, that’s the very point of making music and perhaps especially so with From the Valley to the Stars. I wanted to make something not even I could fully put my finger on or understand; something that was grander than me. And, I wanted to make something all loving and tender to relieve and comfort myself as well as others at the other end. The cover image to me speaks about that comfort and protection I think we all need and hope for – maybe we look for it in the stars, in nature or maybe we feel like there is something or someone watching over us. It doesn’t necessarily have to be an angel; I think of it as a force or an energy circling over our heads. Last December, you wrote on your blog that you wanted, with the new record, to make something that was too complex to grasp. Do you still believe that? Do you think that’s what the record became? Well, it’s indeed a tough thing making a record and hold on to that initial feeling you envisioned or heard at first. All I know is that I put all of my soul and sincerity into making this record and I’m really happy about it. Do you find the past to be a more comforting place to draw your inspiration from? Much of your work echoes the work of past singer/songwriters. Are you not in love with the modern world? I guess I do draw my inspiration from things people have done in the past rather in the now. I find a need to distance myself from the present and all the referential stuff that comes with it to be able to make something that’s my own. Maybe it’s not an all conscious choice, I just seem to be drawn to things that’s been done in the past. It speaks to me and my life in the present, giving me the perspective I feel I’m constantly on the lookout for. But I’m not an escapist or a nostalgic in that sense. The modern world is what it is anyway, and no matter where I look I’m always shaped and influenced by it whether I’m aware of it or not. Did you find it more challenging to produce a whole record from start to finish, instead of EPs like you have previously? Were there any challenges that you weren’t expecting? It was very different and I wanted to be different. I had a time of just collecting ideas and inspiration that was more of an intellectual process rather than a musical. The album was shaped out of those ideas and not until it was done was I ready to start writing the actual music. I was really interested in finding out what it was like writing something conceptual. It was much more difficult than I’d expected, lots of things to keep in mind. Making this record has made me even more so in awe of the makers of the great classic conceptual albums. Did your trip to India last autumn have an impact on the final album? It actually had more impact on me before going there. I’d been wanting to go to India for a long time and the theme of the album had a lot to do with the romantic image I had of India before actually going there. I left for India at a hectic time, when the album was supposed to be finished but wasn’t, and I felt very frustrated about that because I’d worked so hard. But it turned out to be a good thing in the end. When I came back I had a different perspective on a lot of things and I had a fresh way of addressing the album. I guess it made me more humble. India does that to you. It’s said that you started El Perro Del Mar to create music on terms of one’s own. Do you still feel like you’re doing that? Definitely. I’m still working alone and I have the freedom to do whatever I want, however I want. It means the world to me. A new love and the coming of spring. Finally, what are you hoping will happen to you and your record over the next few months? I’m hoping people take the time to listen to it the way it’s made to be listened to, that is from beginning to end, and I’m hoping to find lots of new inspiration from touring to move forward and further with new things. El Perro Del Mar’s From the Valley to the Stars is out now on Memphis Industries. Find her on MySpace here.